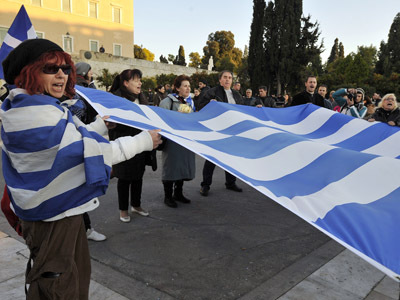 Greece faces another test as the EU, IMF and the European Central Bank representatives arrive in Athens to asses the progress in the country’s financial reform. 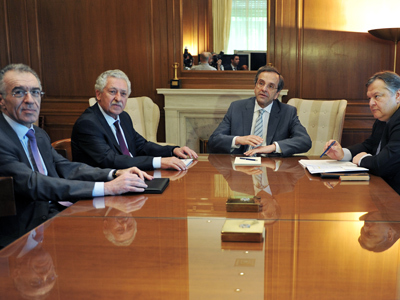 Meanwhile the IMF reportedly plans to stop further aid to Greece. ­Greece was supposed to identify 11.5 billion euros in spending cuts in 2013-2014 and to push forward the privatization program, halted due to the elections in June. The Greek state income is over 1.5 billion euros short of target this year, Greek Finance Minister Yannis Stournaras has revealed. "Right now we need to secure at least a tolerable troika report by the end of August," Stournaras told financial daily Imerisia on Saturday. The so-called Troika would determine whether Greece did enough to get 31.5 billion euros by September under a 173 billion euro bailout provided by the EU and the IMF in March. Without this money, the Greek government faces insolvency and won’t be able to redeem debt and pay pensions and salaries at home. 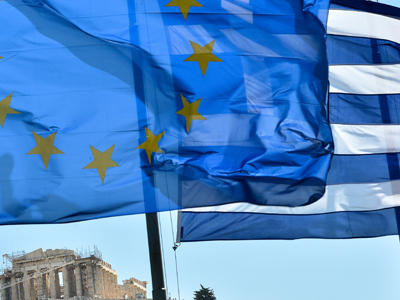 Though the review of Greek finances is not completed, the IMF has already signalled it would not contribute to any further bailout for Greece, the German magazine Der Spiegel reported, citing unnamed senior EU officials. The IMF reportedly said it’s already clear to them Greece will not be able to fulfill its promise to cut debt to 120 percent of GDP by 2020. To fulfill the target Greece could need up to 50 billion euros in additional aid, which the IMF and some eurozone members are not ready to provide, the magazine said. Indeed, on Saturday German Foreign Minister Guido Westerwelle ruled out the possibility of revising the conditions of Athens' second bailout. "I see desires emerging in Greece to renegotiate and substantially question the country's obligations to carry out reforms. I have to say simply, that will not do. It is a Rubicon that we are not going to cross," Westerwelle told German newspaper Bild. Looming fears of Greece’s bankruptcy have already pushed global indices down with European stocks among the worst hit. 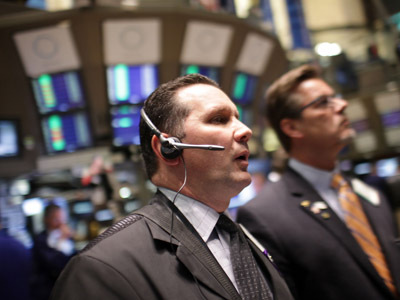 The Italian FTSE MIB fell 4% and Spain’s IBEX 35 declined 3.35%, while the Stoxx Europe 600 dropped 2%.